I do love children’s products with a great back-story, particularly one that teaches children valuable life lessons. Read on to find out what Meo & Friends can teach your kids. The minds behind Meo & Friends believe everyone is good at something (we think they’re right), and that’s the premise behind the creation of Meo and his six friends. Meo and friends each have a talent, be it music or drawing pictures. The characters are designed to help children understand that there are different ways of thinking and acting, and that’s perfectly normal. Once children become familiar with the characters, they can be literally become surrounded by them. 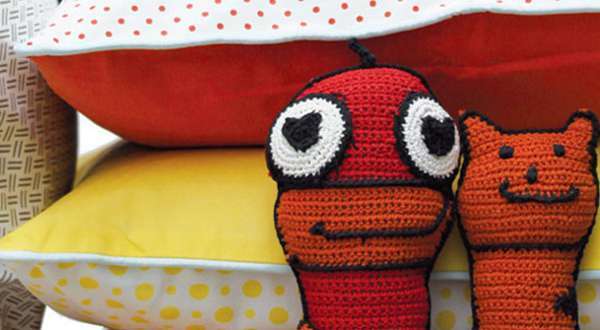 Meo & Friends adorn all manner of decor items for children’s rooms, including linen, pillows and toys. The organic snuggle blanket looks super comfortable and comforting. Meo & Friends are also available as knitted characters (£25), and melamine dining sets. Some of the collection is available from The Kid Who.